I’ve been thinking more and more about the difference between extremely locally-based, grass-roots Islamic activism vs. a larger, almost institution-like system (such as al-Maghrib)… these thoughts have been buzzing around in my head even more since I’ve had a few short discussions with my dad about it, comparing our work (grassroots) to al-Maghrib’s kind of work. My father thinks that al-Maghrib is doing some great work (may Allah grant them tawfeeq), but he thinks that the greater need is for more grassroots activism. Consider me biased because of my parentage and history, but I also tend to lean more towards the grass-roots, local approach over the systemized one. To have a sheikh or two in one city/town, working with the community by providing such services as khutbahs, weekly halaqas, counselling, and much more – this I feel really brings the knowledge home and does an immense amount of good. Instead of just teaching, it’s a form of growing… the longer the sheikh is with the community, the closer they become to him, the more they trust him, the more benefit they gain. Rather than impersonal questions and answers, they get interaction. It’s not just a sheikh whom they look up to, it’s a sheikh whom they know and love because of their familiarity with him. It’s like family. Y’know how in the other thread we were discussing reaching out to those Muslims who are really weak or lax, who don’t even pray most of the time, who are suffering from such issues as drug abuse and alcoholism (and much more)? Well, this kind of arrangement helps a lot with those kinds of situations. To have the sheikh(s) available practically on-call, who can guide and coach step-by-step… truly, it works wonders. I used to be dazzled by the thought of travelling the world and speaking out on relevant issues such as politics and unity amongst the Muslims and whatnot. I still respect those who do. They are the superstars of the Ummah, and may Allah bless them and reward them and grant them every type of success! But for myself, I see now that what is really needed is work of the less glamorous type. Not the superstars, but the schoolteachers who spend year after year teaching the same material, believing in it nonetheless and striving despite their weariness to get the message out, hoping and praying that when their students leave them for the wider world, that they will remember at least some of what they’ve been taught, even if they don’t remember the teachers themselves. I’m a small-city girl, so I suppose that I’m really just addressing the small-city situation. I don’t live in major Muslim hotspots such as Toronto or Ottawa or Montreal, or even Edmonton and Calgary. I’ve spent the entirety of my (semi) mature life in exactly two cities – both of them relatively small compared to the rest of Canada and with a much smaller Muslim community. The socio-economic situation of the Muslim communities I’ve lived in is that of lower- to middle/working-class: families struggling to pull in a steady income, families who have a modest income and have to carefully budget to make ends meet, families who live in relative comfort but who can’t exactly be called rich. These are the people who need the “grounded” sheikh, who works and lives amongst them, shares their joys and their sorrows, their times of comfort and their times of hardship, who sees their children born, grow up, get married. There’s a huge demand – or, if not an actual demand, then certainly a need – for those shuyookh and a’immah who are really and truly qualified, who have studied at and graduated from Islamic universities. In addition, they need not only Islamic knowledge but the experience of having grown up and lived in the West, so that they know first-hand the difficulty in living here as a Muslim and the challenges we face. Unfortunately, there are far too few of them. Yes, we have those such as Sheikh Muhammad al-Shareef, Yasir Qadhi, Yahya Ibrahim, and several more – but definitely not enough to go around. When we were younger, my brothers and I would wish that we could clone my dad so that he could spend more time with us while his clones would do the rest of his work (which we viewed as boring, tiresome, and an unwelcome distraction from family time); now I wish that we could clone my father and all those other shuyookh so that the needs of the Muslim community, on every level, can be better addressed and fulfilled. If there are any students of knowledge reading this post, if there are any of you who are currently studying at an Islamic university and thinking about what you’re going to do when you graduate, or even those who just thinking of studying at an Islamic university – then here’s my suggestion: find yourself a community that lacks a good teacher, a good leader, that lacks so many services that it desperately needs. It doesn’t matter if the community is tiny and way-out-there and is guaranteed to freeze your socks to your feet, like Fort McMurray (actually, Fort Mac isn’t that bad – there are quite a few Muslims there). The point is, people need you. It’s grueling, tiresome work and rarely involves a lot of glory, but we’re not supposed to go for the glory – as long as it’s fee sabilillaah, we should be content. So please, please think about it! You have no idea how much we need you. In closing, I would like to bring our attention and appreciation to the “small-time” du’aat that are out there, who are working so hard yet receive relatively little acknowledgement for what they’ve done and continue to do. 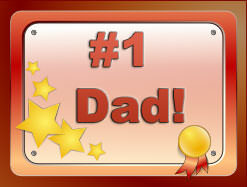 And so, for my father, who is one of those du’aat: Baba, I’m proud of you. I’m in awe of what you’ve accomplished, and no matter how much I disagree with you on various subjects, I still pray that at the very least, I may reach your level of knowledge, wisdom, and understanding. You’ve sacrificed so much for the Muslims, and yet it never seems to be enough… but insha’Allah, on the Day of Judgement it will be enough. I am proud to be your daughter, and ashamed that I’ve never put as much effort into being a better daughter and more worthy of a father such as you. May Allah ease your many burdens, and grant you the greatest of rewards. Disclaimer: This is in no way belittling the efforts of al-Maghrib or other similar institutions; it’s simply my observation of the needs of the Muslim community. As salaamu alaikum sister Mouse! OK we are really twins, not kidding. I was just thinking this yesterday and today: about grass roots da’wah. SubhanAllah. You really hit the nail on the head. Ameen to the du’as-may we work on grassroots and larger causes for the Ummah, ameen. Grass root local dawah is the backbone of any community. Bringing large institutions is the second step to grass root dawah. Institutions like AlMaghrib don’t survive in communities who don’t have any grass root work going on. On the other hand, communities that have solid local dawah programs going on, AlMaghrib thrives in those communities or those communities only grow stronger with AlMaghrib. and hey, I had thought about cloning my dad too except that I am such a REF and I was going to photocopy him. Very Nice post indeed. May Allah bless all the unsung duaat. The most persistent and tireless grassroots efforts in North America are, without doubt, being conducted quietly by Jamaatul-Tabligh. It doesn’t matter what others say about them, so much of what we take for granted in our community today began with their efforts. They are the ones travelling by road from one end of the country to the other, on their own expense, trying to find every last Muslim living in the most remote cities all over North America, to establish salaah, remind others about Allah, and return people to the sunnah. They’re the only ones going door to door, trying to find anyone who might be even remotely Muslim, to bring them to the remembrance of Allah. They’re the only ones working in the dirtiest slums, reaching out to the most disaffected people, and establishing prayers in their midst. And in spite of all the criticism they receive from all sides, they keep working, and Allah keeps helping them. BarakAllahu feeki for your post. I was actually having a discussion about this very topic with Sh Muhammad AlShareef and he said quite clearly, “nothing replaces a local Imam”. And if you do look at some of our other instructors, like Sh AbdulBary, Sh Yaser Birjas, Sh Muhammad Faqih, Sh Riad, Sh Suhaib and other shuyukh who are Imam of their masajid…you’ll see how their community is flowering mashaAllah..and it’s not because of their involvement in AlMaghrib (even though I think that has benefited them all in the way they attract people)….it’s because of the hardwork they put in developing their community. So AlMaghrib has it’s place but a “resident scholar” or an Imam is like the heart of any muslim community. I think perhaps its a little unfair to have a comparison because the two. The Ummah needs THIS and THAT. If evvveryone only focused on grass routs dawah and we didnt have any national organizations, that would be a minus as well. If we had no grass roots dawah, well then forget about the national organization lol. Well, local scholars aren’t just going to pop-up by themselves :) If the current generation recognises the need for it, then they should take themselves to this task. I agree with Kamran and Ummabdullah. MAC in Canada also has a grassroots approach. In fact, theirs is quite deep: One that focuses on personal development as well as activism. And just with any Muslim organisation doing great work, there’s always need for more volunteers, and perhaps that’s why we feel that what they’re doing is not enough and we need more. But it’s not the scholarship that we need as much as we need our brotherhood to be strengthened. If we want to help someone get off drugs, it’s not just a sheikh who can do it. Rather, a lot of these problems can be solved through acceptance, love, support.. by anyone who cares. Maulana Maududi had started a grassroots movement in Pakistan and he changed a lot, mashallah. We definitely have a lot to learn from systems that existed in the past and others that still exist and try to implement and expand them. Sr. Anonymouse, you don’t live in Cambridge, ON do you? Anyways…I myself in the future intend to pursue studies overseas and the idea of coming back and being a ‘community builder’ is a great idea that I have thought about; although not necessarily in the middle of country bumpkin ville..but if there are Muslims there, then why not? What I don’t want to do is come back and rot away in the engineering field, which I am in right now. May I ask what is that your dad does for a living to support y’all? That is the concern…brothers can study overseas but taking standard positions as Imams doesn’t seem to pay the bills from what I’ve seen. Please elaborate on this. If there is a market for such ‘community builders’, we can market that as a career path once brothers and sisters finish their Islamic studies. I applaud him as well and all others like him who are slowly changing communities, one person at a time. I don’t think Sr. Mouse’s point was to compare the two in order to undermine one. But rather, the point I think is that we hear about the big institutes and the big shayookh all the time, and yes, they have great impact. On the other hand, we don’t see and appreciate (many times) what these “local” and “resident” shayookh do. In fact, I was in Sh. Waleed’s community for several years… and we had him as a “resident” Sheikh for sometime, until he got famous and spoiled it for all of us ;) Seriously though, once he did start traveling, the community really felt his absence, and it was always a source of great discussion (plus more) as to the priorities of the “locals” vs. the needs of the rest of America. Its a tough battle of priorities at that point. I also agree with Faraz, that the Tablighi brothers have been working the far-flung communities for sometime, regardless of whatever disagreements people may have with their style and methodology. Credit where credit’s due. In fact, if I see a brother who is really down in terms of iman and Islamic practices, sending him for that initial charge with the tablighis is something that I would never be afraid to recommend. Mahin too brings up a good point. Sometimes we treat the Imam of our communities in such a despicable way, pretty much assuming and applying this assumption that the Imam has to be somehow the poorest member of the community, that we don’t sufficiently pay them their rightful dues. Sometimes the Imams have to do odd jobs just to keep up, and what a loss then for the community! An Imam spending time delivering Pizza, when he could be solving our problems. Challenges, challenges, challenges… interesting also in how it highlights the challenges we face, yet the most important topic in the mind of many seem to be fighting about the intricate details of Islam (hint, hint :) ). Please no tangents on this one! Sr. you have truly hit the nail. SubhanAllah, the community i live in has HUUUUUUUGE muslim population however we definitely lack a leader, who can guide them and bring them back to Islam. Wallahi, my heart bleeds everytime i see Muslim Youth drifting further and further away from deen and trying to be anything but Muslims. Are the youth to be blamed for it? – Their parents are not religious and hardly have any knowledge to pass on to their kids. -community center has soooo much money, yet it has absolutely no programs to benefit the community members and nobody is rasing their voice against it because people are too busy pursuing the dunity. -almost all the Muslim kids go to public schools which is poisoning them bit by bit. It wont be long before these youth grows up and refusing to acknowledge that they are Muslims…who is to be blamed for it ? (i know complaining is the easiest thing to do) however i am just trying to do my part by trying to start Sunday School (biggest community center refused to give me space because i am a student at ”CERTAIN” institute hence i cant be allowed to teach- thanks) and im trying to get other sisters to start teaching as well. Ma sha Allah sister, great post. I’d like to also point out our beloved AlHuda people (Dr. Idrees Zubair and Dr. Farhat Hashmi), who have literally revolutionized the “upper-class” of Karachi, Pakistan and now they are here in Toronto, Canada enlightening the community, walhamdulillah. It’s amazing how many lives they have touched with their work – which is in essence grassroots, yet its so global. May Allah accept from them and multiply their rewards. 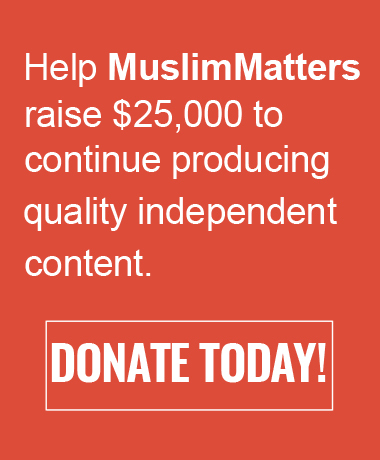 Another organization that is grass roots in the USA is MAS (Muslim American Society). They are implementing chapters throughout the country that touch the lives of Muslims in all aspects of life. You will see halaqas, volunteerism, seminars, events, sports, qiyams, etc. May Allah bless their work and accept from them. I think both are needed, just which one is a priority and which is more effective. They are different in attracting a different audience. But dawa (Islamic work) is very broad and encompasses everything, so may Allah bless all organizations in trying to establish Islam throughout world!! If you’re interested in starting a MAS or MAC Chapter in your town/city, drop me a note! Excellent post, most of the people who had a tremendous impact on me and the direction of my life were people in my local community, none of whom are famous. Al Maghrib is a means of teaching Islam for those people not dedicated enough to join Islamic universities or study long term with a Shaykh. I agree it would be better to have a scholar in our community full time, but there are VERY FEW Islamic scholars in the west. Through Al Maghrib the graduates of Islamic university are reaching thousands of people, without such an organization I dont think that would have been possible. BTW if you go to Texas you’ll find a community who loves Shaykh Yasser Birjas very much. And he provides the se4rvices you mentioned seuch as khutbahs and halaqa’s. He’s killing two birds with one stone if you will. And I’m sure nothing describes the task of Al Maghrib instructors like your words. are u the same anonymouse from organicmuslimah’s blog? ur so cute u know that lol. i live in the middle east, and i agree with u. it’s a lot more important to do grassroot dawah than the regular teaching..we have to reach out to the youth! we need youth oriented programs. a lot of classes i go to are abt zakah, sawm etc. while these are imp, what a waste of having youngsters under the roof. we need someone to address our issues, probs we face in this time, this age..
Sr. Mouse, it would be awesome if your father could write a small piece telling us more about him and his background… with some advice for all those aspiring small-town community imam-wannabes :) ! I agree, I want to hear from Abu AnonyMouse inshaAllah! When I told some students of knowledge that we could use them…they got more distant from the community because they weren’t ready for that. But I can tell you this much about living in a small community: When a key Muslim leaves you feel as if the community will collapse…but Allah compensates us by sending us someone new who is better! I’ve seen it happen and you can only notice these things in a small town. A 18 year old came to me one day and told me that he wanted to learn the deen, i.e. he wanted to go to Egypt and then come back to serve the community. He also mentioned how he admired Suhaib Webb and gave me the impression that he would love to do something like that. I asked him, “After you’re done with your studies, would you be willing to lead a small community that has a small masjid?” “You’re probably not going to be famous, going around conventions, conferences, etc” “you just stay there, benefiting the people of your locality”. He looked at me and said, “That, honestly, is the toughest question that I ever had to answer”. Of course he didn’t answer me. Because it’s rare for many “seekers of knowledge” to want to stay in their locale and provide the necessary da’wah fardiah (personalized da’wah” and many are tempted to grab the microphone on stage or be a famous shaykh. Those people of knowledge who purposely do their work for fame or so that people will call them ‘aalim, will be with those people who read Quran and wanted people to call them qaari and those who were martyred on the path of ALlah but wanted people to call them brave. All of them will be dragged face down to the hell fire. Both local and “international” shaykhs have their roles to play. Some people are more suitable for one role than the other. Some flourish in both roles. With that said, this raises the question, does MM have a parental consent form for underage bloggers? Some valuable advice from Abdur-Raheem Green to those who wanna be da’ees! one issue that has not been mentioned by anyone is “Da’wah to Non-Muslims”. Of course, we need to strengthen our communities, but we shouldn’t forget that it is our responsibility to reach out to the Non-Muslims around us. I think, we need to have Grassroots Da’wah organizations (in every locality where Muslims reside). You don’t need many people to start such thing….just pick up some of the AlMaghrib goers or some practicing brothers and sisters and START!! Da’wah can be given in different fashions; from Campuses to Streets, houses to churches, chat rooms to coffee shops…You are guaranteed one thing: YOU WILL NEVER RUN OUT OF NON-MUSLIMS AROUND YOU!! The key to success in Da’wah is: you must seek knowledge continuously…Never ever stop learning. A Da’ee must learn new techniques on a regular basis. Here in Toronto, some brothers are organizing a class with Sh. Kamal El Makki. The title of the class is: “How to Give Shahadah in 10 Minutes”. You can visit http://www.humanitysguide.com for more details. Alhamdulillah, the Street Da’wah at Downtown Toronto is really going well. There were at least 60 converts in last one year (starting from last September). The college/university campuses also have da’wah programs. However, they still need to be improved and made ‘regular’. I pray that many people take up this task and play their role as “Ambassadors” of Islam. Even though this response is coming a bit late, I’d like to thank the sister for posting this excellent article. I myself was born and raised in Canada all my life, then I left to come and study overseas in an Islamic University, and with a little over a year till graduation I’m trying to plan out a future for myself back in Canada. Your advice is something that me and the other students of knowledge here can benefit from, having spent time studying with Yasir Qadhi during his years here, and other brothers who have graduated and returned to their communities, I must say that we can also learn from their mistakes when they went back and avoid falling into the same. Your father is a pioneer of the Da’wah in Canada, in particular the West coast, and benifiting from his experience is a must for soon to be Du’at. JazakAllahu khairan for your kind words, and may Allah grant you tawfeeq in all that you endeavour to do, and make you a shining light for this Ummah, ameen! You should think about coming down to the bigger cities of the West Coast; we have the best year-round weather in the whole of Canada! InshaAllah I will keep it in mind, however my city is Toronto, it’ll be difficult to leave it. I may come to B.C. for a visit this summer, we’ll see how things go. No doubt, all action are dependent upon intentions. At first sight Institutes such as AlMaghrib (and others like it, so that we may not single them out) are well-guided. They follow the aqeedah (creed) to the best of their ability. Certainly they distinguish themselves by provding scholars who truly have knowledge. Of course without that they are not even worth the second look. Many many do not even have that (the knowledge of teh Quran and sunnah) and are NOT a subject of our discussion here. My main objection is the format and structure of well-intentioned and knowledgable scholars who have limited this valuable resource to only those who can pay hefty fees. How many sincere muslims who barely make ends meet here in North America driving a cab or working on an hourly basis. Do these muslims and their families do not deserve to benefits from the true scholars. Why then we speak of “grass-root” activism. When prophet Muhammad (sws) send the sahaba to other lands to teach them about Islam did he ask them for a fee or stipend. I know many will try to make a case for collecting fees for these courses. They argue that they need to defray the costs so that more good work can be done. But unfortunately these sources of Islamic knowledge are being run on business structure. Islam and dawah needs to be supreme goal of the scholars. I remind, very respectfully to my dear scholars. On teh day of judgement there will be shuhada, scholars and generous men presented in front of Allah. Allah will reject all their good acts from them because their intentions was worldly gain; in one form or another. Scholars (ulama) are those who fear Allah. I remind my sincere brothers/sisters running these resources to accomodate muslims (and their families) through-out North America who can not financially afford there seminars. 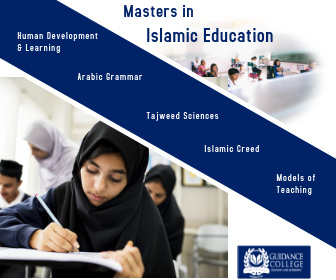 Let us be sincere to Allah and His deen and come up with methods where muslims who would like to attend the educational activities may be able to participate. If we truly intend to propogate the word of Allah and His prophet(sws). asaslaamlikum akhi Abdur Rahman. I am not sure if you have experienced not being able to attend an AlMaghrib class due to financial resource or is this your perception? Almost all Islamic institutes have some type of compensation for people with financial need. That is hardly the issue. Alhamdulilah, personally I am in no financial need. I speak for those hundred of thousands who are lacking financial freedom. I am, Alhamdulilah, as a physician can afford such fees. But, I ity ignorance of muslims who consider it “hardly an issue”. Just look around yourswelf next seminar. How many can drivers, blue-collar workers do you see around yourself. We are talking about grass-root effort to do dawah and learn TRUE ISLAM. No one is asking that the respected scholars, such as Sh. Waleed, not be paid for their time and effort. I am bemoaning the greed of the middle-men. Who seek to make a little profit off teh word of Allah and His rasool. They see this as another venture to make lots of money. They have a full-line of products and services other than this dawah. Only Allah knows whose intentions are what. Why can not Al-Maghgrib and others simply facilitate scholars and leave the logistics and to meet the cost for local communities. Thus decreasing the cost towards participants. This will allow for muslim masses to be able to learn and benefit. Hadith of rasool Allah (sws) warned that there will come when Allah will take away the knowledeg of the deen throught the death of real scholars. Then people will follow the ignorant. Unfortunately, there are plenty of those. What is really shameful that those who are left with some true knwoledge are staisfied to sell it for the “right price”. Only Allah knows our intentions and will reward accordingly. Fear Allah and give people rightfully what belongs to them. This knowledge is a trust from Allah not for sale. Br. Abdur Rahman, the question is not how many “blue-collar” people we see in seminars, but how many are interested? To be honest, I don’t see that a big difference between a Maghrib seminar and a free seminar at a Masjid in terms of the type of audience. And the fact that there are scholarships usually available that go unused belies the fact that there is a great demand from that section of the people. So, anecdotally, one may feel that a large section of the Muslims is missing out, but based on the ground reality, this isn’t happening. As for reasons, I would venture to say that many cab-drivers and hourly workers don’t really have that many free weekends. Also, the brother who is struggling to make ends meet usually has to work so many hours in this great capitalist economy, that I imagine it would be difficult for them to take out 2 whole weekends to study. Of course there are exceptions… I am just mentioning my own observations. Finally, Almaghrib or any of the other universities or institutes are not the only source of Islamic knowledge. In fact similar knowledge can be gained for free via a variety of other channels. So to make attending one of the institutes a right for Muslims, is also not right. P.S. I don’t know which horde of “middle-men” you are referring to. I think you need to do your research before making sweeping statements about any institute… AlMaghrib or otherwise. And I say this having no official affiliation to AlMaghrib neither being a regular student. This is hardly an issue- The issue is that the desire for seeking knowledge comes from within. People can have all the wealth and the time in the world, but if Allah (swt) does not will it, they wont be able to acquire knowledge. I don’t think knowledge is about affordability as much as it is about one’s personal struggle. Al-Maghrib and their types have addressed an area of Muslims others have not addressed as yet. Al-Maghrib’s founder would probably qualify for the highest award in positive innovative approaches in an Islamic Khaliphate if one existed. Obviously, Al-Maghrib is not infallible, is not a know all nor do all, and doesn’t claim to be one unlike some others who aren’t and yet who do. Areas that they have not addressed should be taken up by others. Al-Maghrib, as well, has brought excellant well sourced Islamic knowledge to excellant brothers and sisters in an extremely challenging era and region. May Allah bless their work and the Mashaikh with them. Disclaimer: And I am not affiliated with Al-Maghrib in any way.